Arriving at Manchester Pride we found ourselves faced with a dilemma. We realised that without an NUS block we didn’t have a go-to space in the protest. 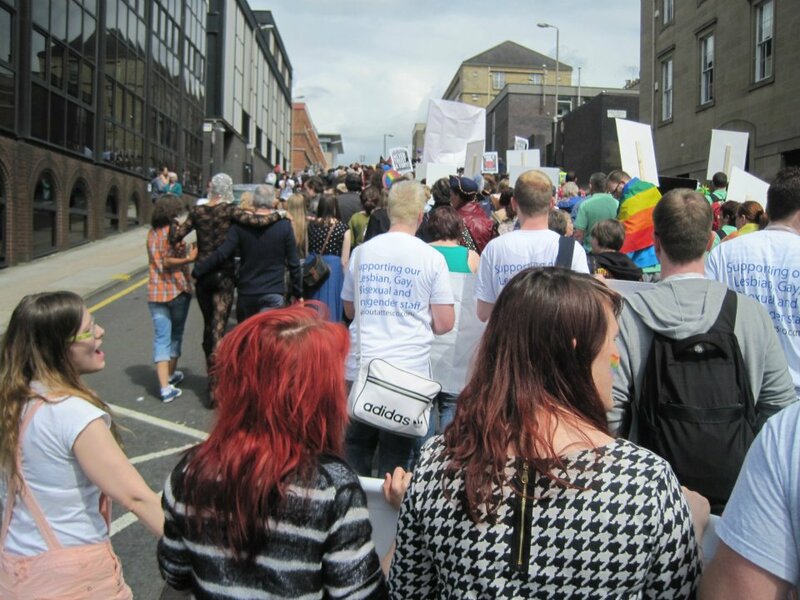 Walking up and down the march, trying to find a space we belonged in, it soon became apparent that it was separated out by the causes and clubs without space for individual queers who wanted to protest the homo-, bi- and trans*- phobias in society. The air was filled with club music instead of chants. The parade was colourful and beautiful but not political, or at least not explicitly political. It was a parade, not a march and we weren’t welcome. It’s a shame because Manchester Pride is one of the few places where Pride is felt throughout the whole city: with everything from the train stations to the bars; from the hotels to the parks; from the streets to the trams covered in rainbows; not to mention every shop trying to attract the pink pound. It has a very clear platform to start a movement to drive change, but this potential is unrealised. To be clear, we don’t think it’s unpolitical to take over city, to clear the roads and stop the traffic – it clearly is. But it would be even better if we used this opportunity, where the whole city, from homophobes to allies is forced to listen, to unapologetically take the streets as ours, and demand our rights – full and equal! Not to parade along the street with of our own wonderful rainbow community as spectators- because our community already knows how fabulous we are! On Saturday the march route was lined with thousands of people who were there for Pride, LGBT people who watched the march as silent onlookers. Imagine what a powerful message it would be to see all those people march, telling our stories and demanding our equality. Sharing everyday experiences painful, difficult, and challenging. The teenagers bullied in playgrounds, the lesbians excluded from healthcare, every victim of a hate crime–loud, proud, and strong together. 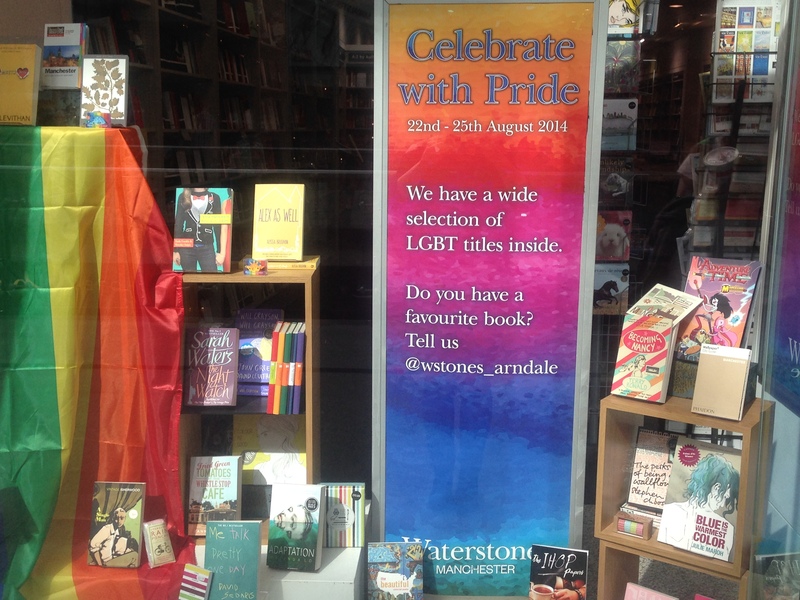 Challenging the invisibility of LGBT people in everyday public life. Pride creates a space where we can be a community more than at any other time of the year -maybe that’s why we call it Gay Christmas? 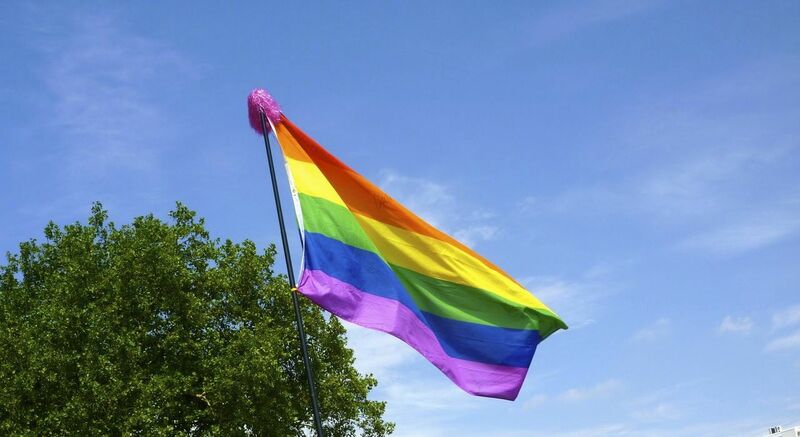 But like Christmas Pride can come at a hefty cost, only those able to afford a Pride wristband had unrestricted access Manchester’s gay village. Should being proud come with a price tag? Allowing money to segregate us only further exposes the inequalities within our own community which doesn’t sit well with Pride’s overarching aim: equality. Pride should be about bringing LGBT people from across the spectrum together to celebrate our community and demand equality. We never thought we’d say this but we miss the days of smaller prides – Scotia, Glasgow, Newcastle where yes it can be cheesey, commercialised, and claustrophobic (I mean you are always going to bump into an ex right? ), but there is space for a political statement to be made. Taking ownership of the streets shouldn’t be a privilege of those who are involved in a national organisation with enough money to secure space and publicity to have a visible presence. Every single one of us has a voice, and those voices are angry and powerful. Angry at prejudice and discrimination. Powerful because we can change, have changed, and are changing society to be more equal. Pride is a protest: this year we joked that we should join the march and stage our own, individual one woman protests. Next pride we hope we will feel able to, and we hope you’ll join us. Tasha Boardman is the current Vice President Services at the Edinburgh University Students’ Association (EUSA). For more updates from her on her adventures in EUSA why not follow her blog!